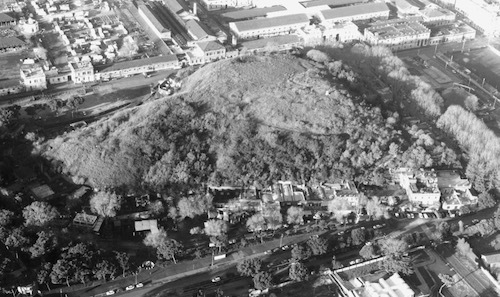 Monte Testaccio is a 150 foot high artificial hill, spans an entire city block and was ancient Rome’s garbage dump. 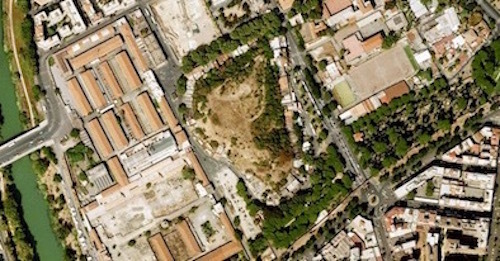 The mount is located in the southern part of central Rome near the Tiber River. 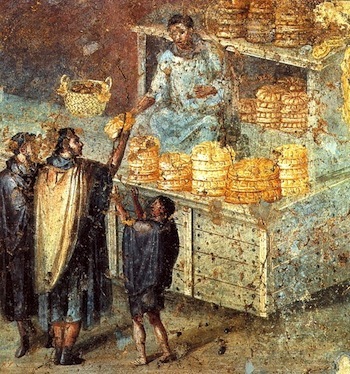 What makes Monte Testaccio of interest to archeologists is: it is composed solely of shards of c. 53,000,000 broken and/or neatly stacked amphorae. An amphora (from the Greek words amphi “on both sides” and phoreus “bearer’) was a large, two-handled pottery jug that would hold about 6 gallons of wine, olive oil or garum, three of the most common products imported into Rome and exported out of Rome. 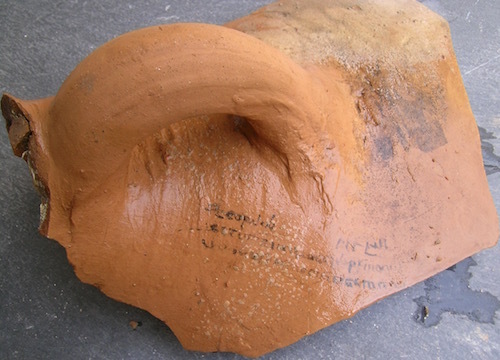 The reason most think the amphora has a pointed bottom is because it is an ideal shape for shipping. This writer is not convinced that is the only reason. Perhaps someone with knowledge of oenology could research this and enlighten us as to the benefit(s) of a cylindrical shape for wine. Amphoras could be, thus stacked, for sale or exported/imported in ships like the above picture. 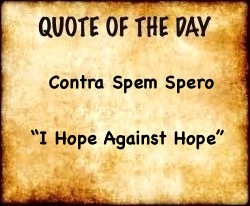 For household use, an amphora would have had a container. 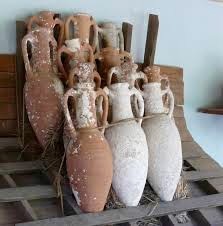 The reason the imported jars could not be reused is that wine or olive oil residues seeped into the clay, turned rancid and prohibited re-use. It seems from the layers of amphoras in the hill that they were broken in half and stacked carefully to reduce the risk of landslides. In order to mollify the rancid smells coming from the jars, lime was sprinkled on top. On the jars were stamps from the factory where the jar was made called “potters’ stamps.” And the jars often had tutli picti: painted or stamped information recording the origin of the jar, the weight of the oil/wine in the jar, the names of people who weighed and documented the contents of the jar, the name of the merchant who exported the jar(s) and even the location of the farm where the wine/oil originated. Certainly their standards to avoid fraud were as rigorous or more so as our modern standards.